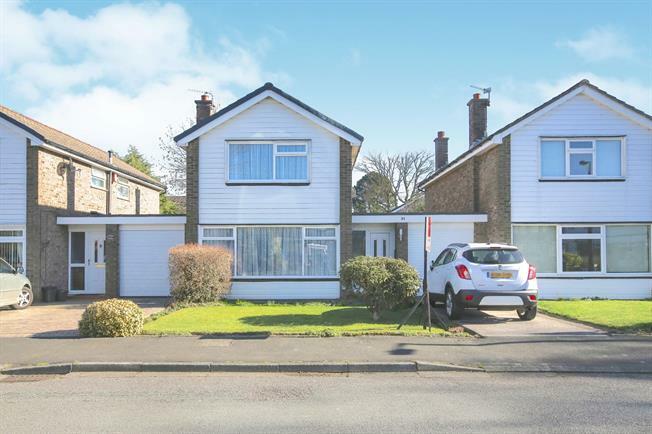 3 Bedroom Link Detached House For Sale in Cheadle for Offers Over £325,000. Offered with no vendor chain well maintained three bedroom link detached home. This property appeals to all kinds of buyers - first time buyers, the growing or established family, investors, the commuter and working professionals all looking to add their own style and stamp to a property. The property comprises of bright open entrance hall, downstairs WC, large open lounge and dining area, fitted kitchen, three good sized bedrooms - two with fully fitted wardrobes and family bathroom. Externally the property benefits driveway, garage, well maintained front and rear garden.